UPSC Civil Services Exam 2016 Notification is out! So here comes the notification which is much awaited! UPSC has published the notification for Civil Services Exam 2016, popularly known as ‘IAS exam’. 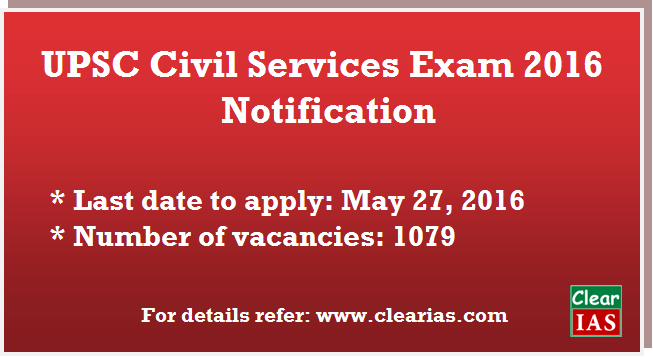 The Civil Services Exam(CSE) notification starts the exam cycle, which is almost 1 year long. As of now, applications are invited for the first stage, ie Preliminary Exam. 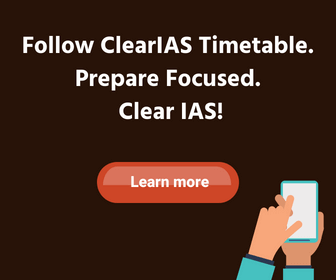 Notifications are out for both Civil Services Exam as well as Indian Forestry Services Exam – both having a common Preliminary exam (objective), but separate Main exam (written). Candidates are required to apply Online by using the website http://www.upsconline.nic.in. Detailed instructions for filling up online applications are available on the above mentioned website. Date of UPSC CSE Prelims is August 7, 2016. The Main Examination is likely to be held in December, 2016. The number of vacancies to be filled on the result of the examination is expected to be approximately 1079 which includes seats reserved for many categories. The total number of reported vacancies is around 50 less than last year. A candidate must have attained the age of 21 years and must not have attained the age of 32 years on the 1st of August, 2016 i.e., he must have been born not earlier than 2nd August, 1984 and not later than 1st August, 1995. Note: The upper age-limit prescribed above will be relaxable: (i) up to a maximum of five years if a candidate belongs to a Scheduled Caste or a Scheduled Tribe; (ii) up to a maximum of three years in the case of candidates belonging to Other Backward Classes who are eligible to avail of reservation applicable to such candidates; (iii) up to a maximum of five years if a candidate had ordinarily been domiciled in the State of Jammu and Kashmir during the period from the 1st January, 1980 to the 31st day of December, 1989; (iv) up to a maximum of three years in the case of Defence Services Personnel, disabled in operations during hostilities with any foreign country or in a disturbed area and released as a consequence thereof; (v) up to a maximum of five years in the case of ex-servicemen including Commissioned Officers and ECOs/SSCOs who have rendered at least five years Military Service as on 1st August, 2016.
based on previous years cut off ,What could be the cut off for GS PAPER 1 ? Gs paper 2 me 70 number se adhik number aana par kaha ve cut off me judenge ? 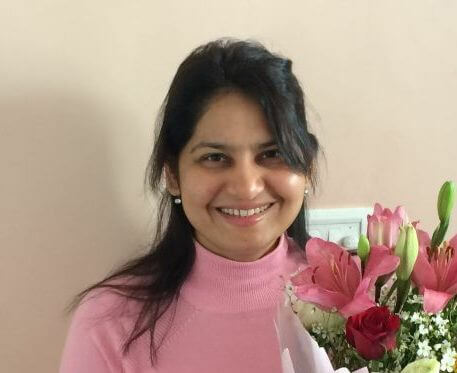 which books are more prefareble .. i completed my 3rd year engineering …. still 1 more year left to complete my engineering ….